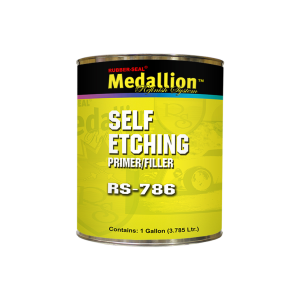 An acid-based, etching primer designed to optimize adhesion to bare metal substrates and provide a corrosion resistant barrier between substrate and coatings. It is ideal for use on properly cleaned and sanded steel, galvanized and aluminum, as well as oher metals. It mixes 1:1 with RS-787 catalyst and is National Rule compliant. Available in quarts and gallons.